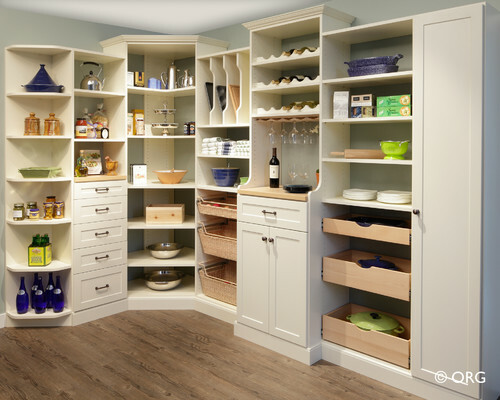 Spacemakers builds beautiful pantry storage solutions tailored to your specific needs, just like every other space in your home. 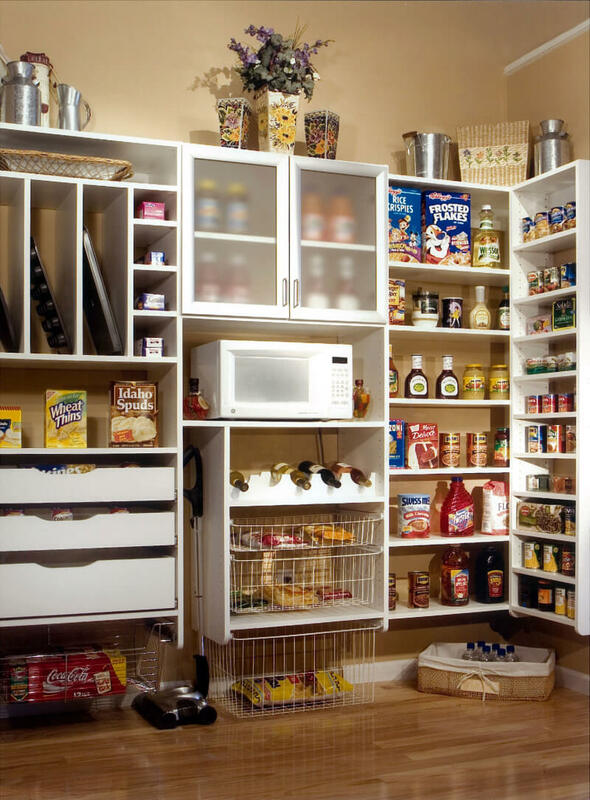 If the kitchen is the heart of the home, then the pantry is the artery.  The kitchen provides all of the things that make your home function efficiently. 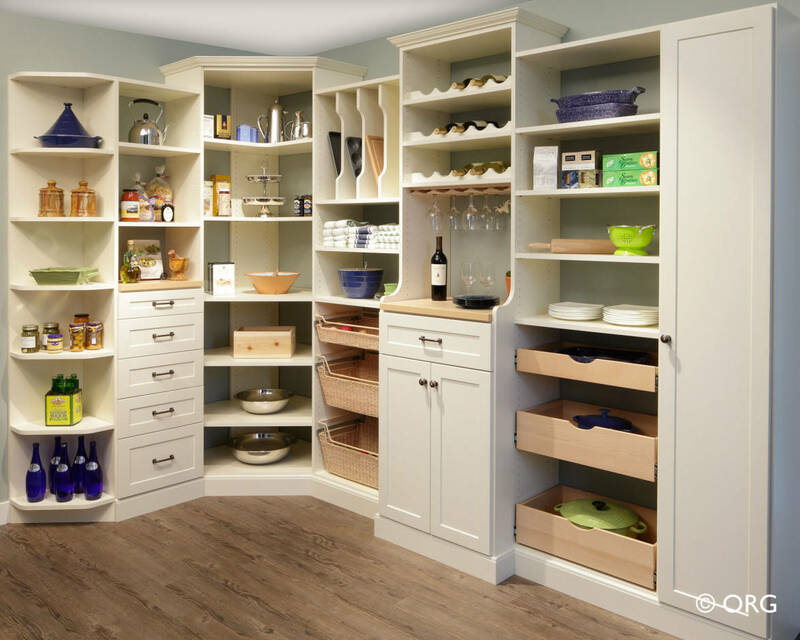 A custom pantry gives you access to everything you need quickly and easily, while lending an elegant touch to your kitchen. 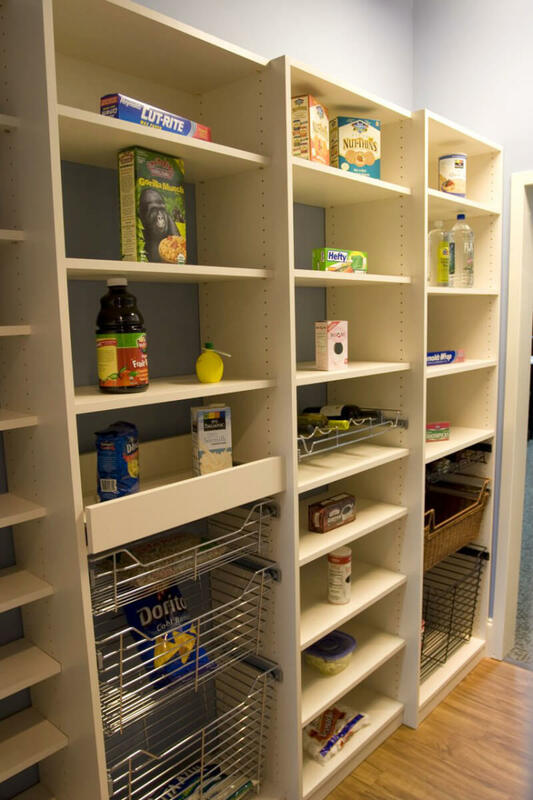 Not only will your new custom Spacemakers pantry be more organized, but you’ll have more room to store essential food, kitchen and household items. 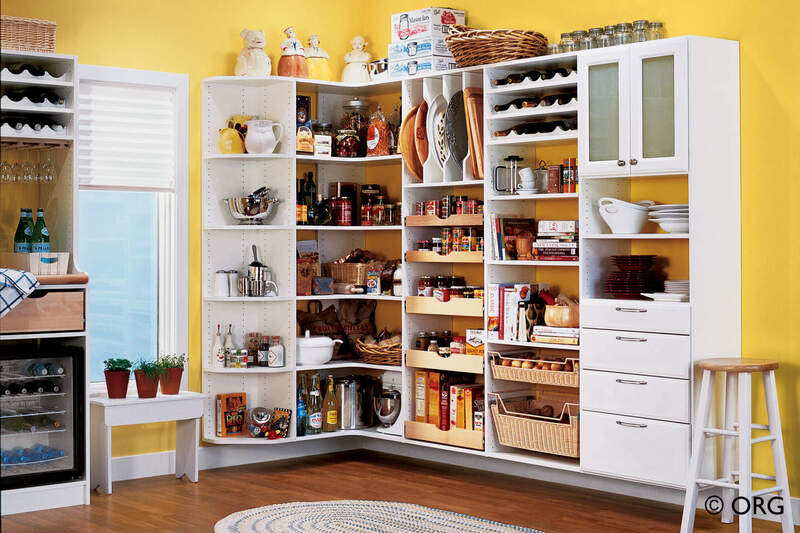 A better stocked and well organized pantry means fewer trips to the grocery store. 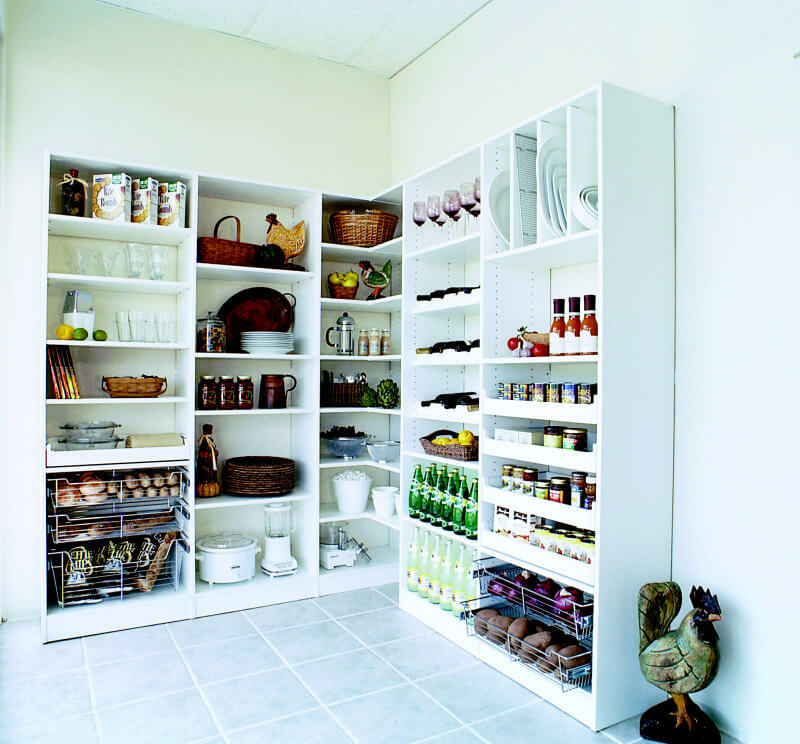 Spacemakers have been the pantry storage solution pros for over 28 years. 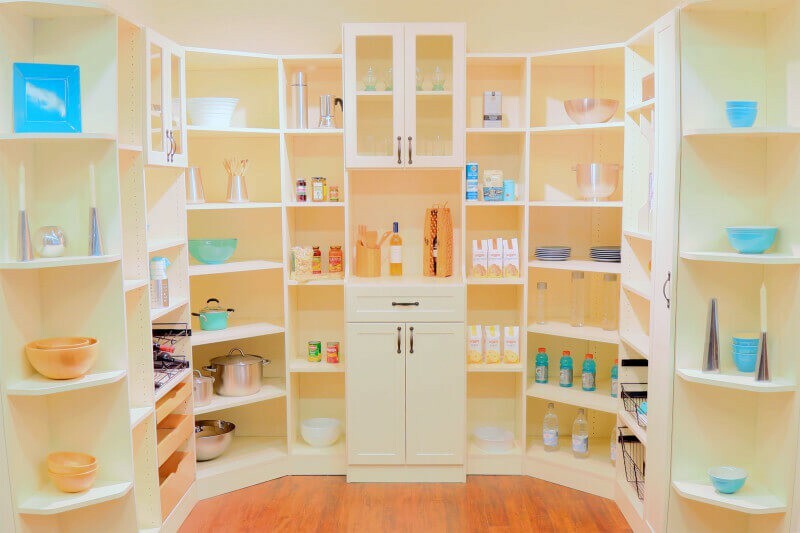 Adjustable pantry shelving to allow the space to be perfectly tailored to your needs and to change over time as your needs change. Vertical pantry shelf dividers allow you to store large serving platters and similar items in an easy-to-access manner. 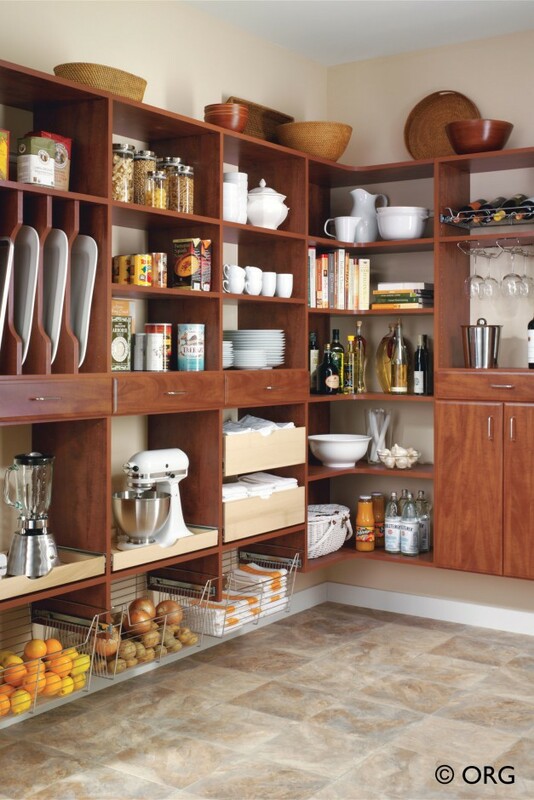 Scoop front pantry drawers with space between each give you easy access to your pantry items and the ability to see what is in them. Pantry wire baskets are a great way to store snacks and other items for easy visibility and access for your entire family. 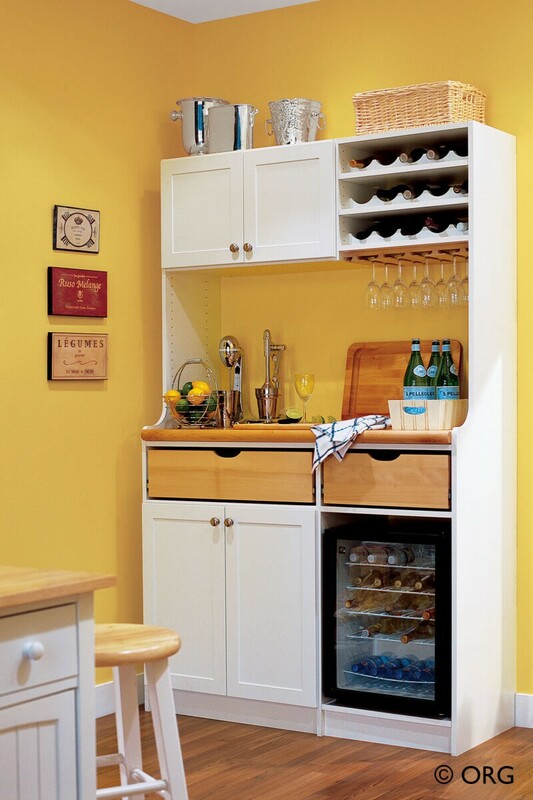 Pantry wine and stemware racks keep your fragile items safe. Pantry hooks allow you to hang your linens. 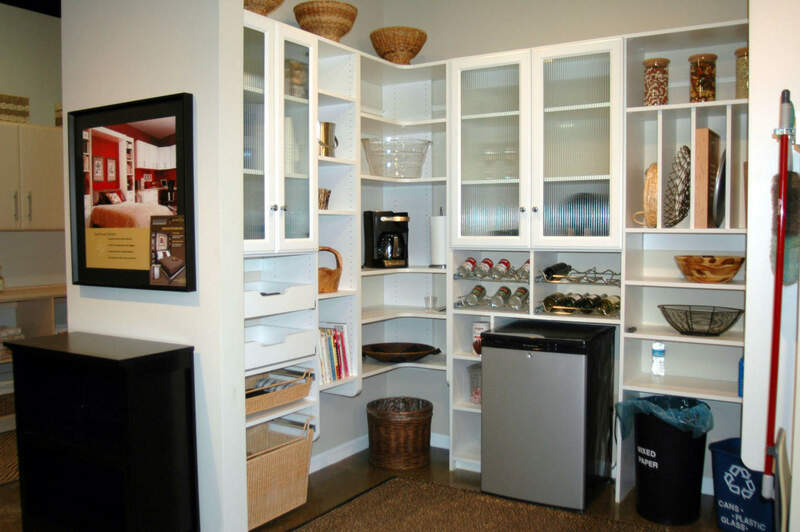 Well-designed pantry counter space can give you areas to store and use your kitchen appliances. 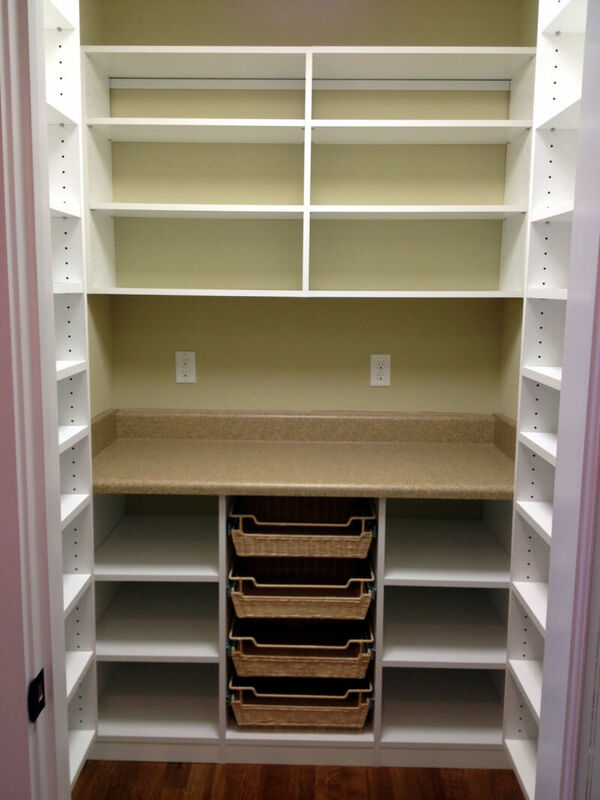 Pantry Essentials in Classic White, Linen, or one of our other Essentials Colors is one of our most popular custom pantry styles and projects a clean, organized and professional look. 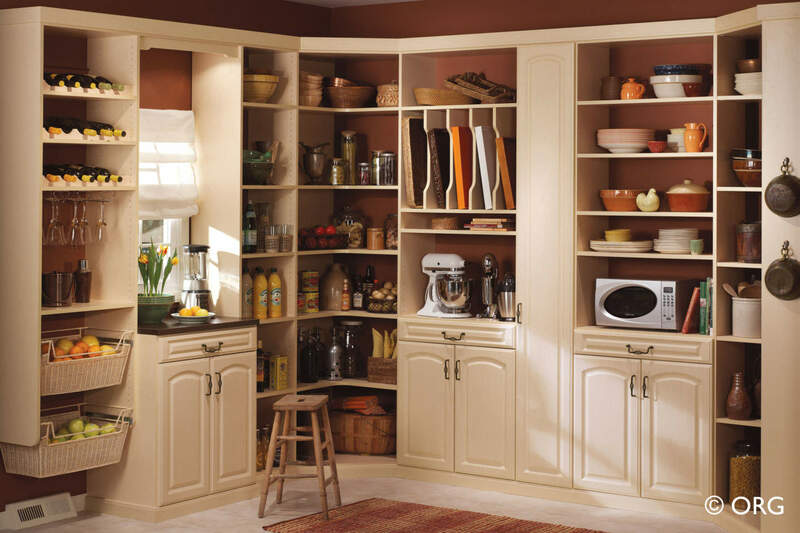 Pantry Select/Textured in one of our Select or Textured wood grain colors/textures is a very popular premium option for custom pantries, especially for those homes with wood floors and earthy color schemes. 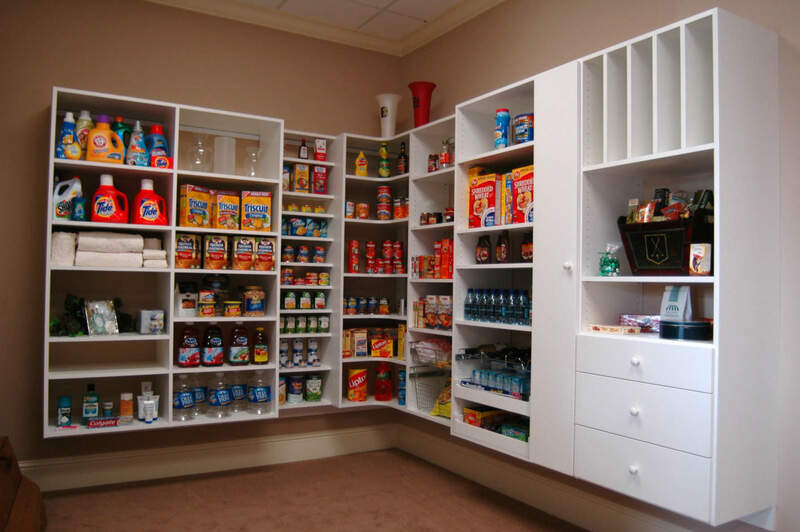 Interested in custom pantry storage solutions? 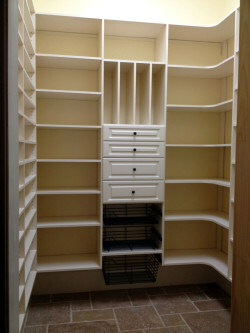 Call Spacemakers at 770.422.6464 to speak with one of our friendly pantry storage experts. Or visit our showroom in Greensboro or Alpharetta today!